ITP is pleased to announce the release of its latest identification tool, Bee Mite ID: Bee-associated Mite Genera of the World. Pollinating bees play an essential role in agriculture, and parasitic mites are known to be a factor in recent declines in bee pollinator populations. Varroa destructor, an introduced parasite and disease vector, has decimated colonies of the western honey bee, one of the most important agricultural pollinators in the world. Global trade in alternative pollinators increases the likelihood of moving mites, so there is a potential for more Varroa-style invasions. Biosecurity specialists and beekeepers need needed a tool to help them identify the mites of greatest concern to help prevent such invasions. 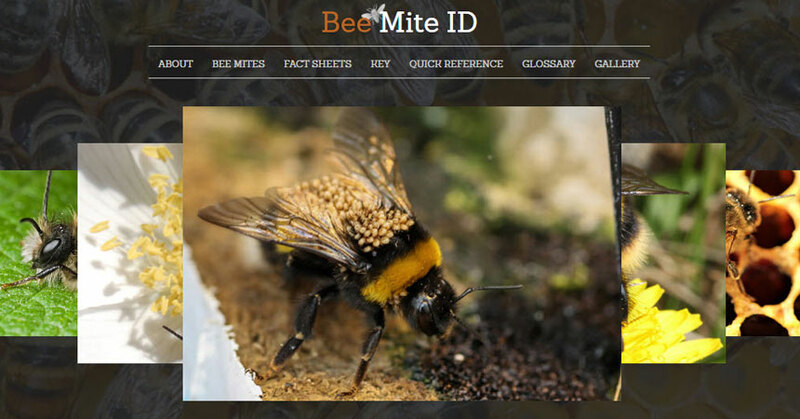 Bee Mite ID enables users to identify the mite life stages that may be found on bees or in their nests and to distinguish harmful from non-harmful mites. The tool focuses on mites associated with important pollinators and includes components both specialists and non-specialists can use. instructions on slide-mounting and photographing mites.